This raised toilet seat is extremely comfortable as it is made from foam which is soft and forgiving. 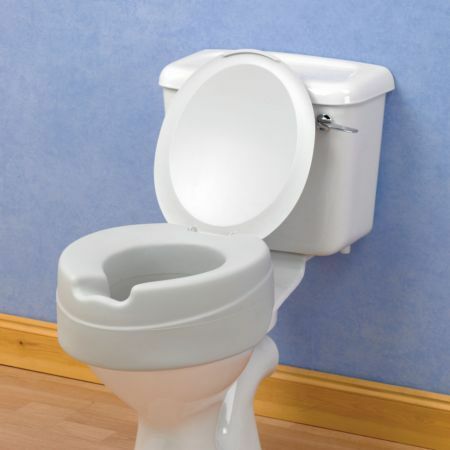 It is very easy to fit as it requires no screw fittings, but fits securely over all standard toilet bowls. It is very hygienic and easy to clean due to the tough plastic skin. Supplied complete with lid. I needed a raised seat but suffer from a lot of pain in my legs and this was the ideal solution for me, very comfortable.